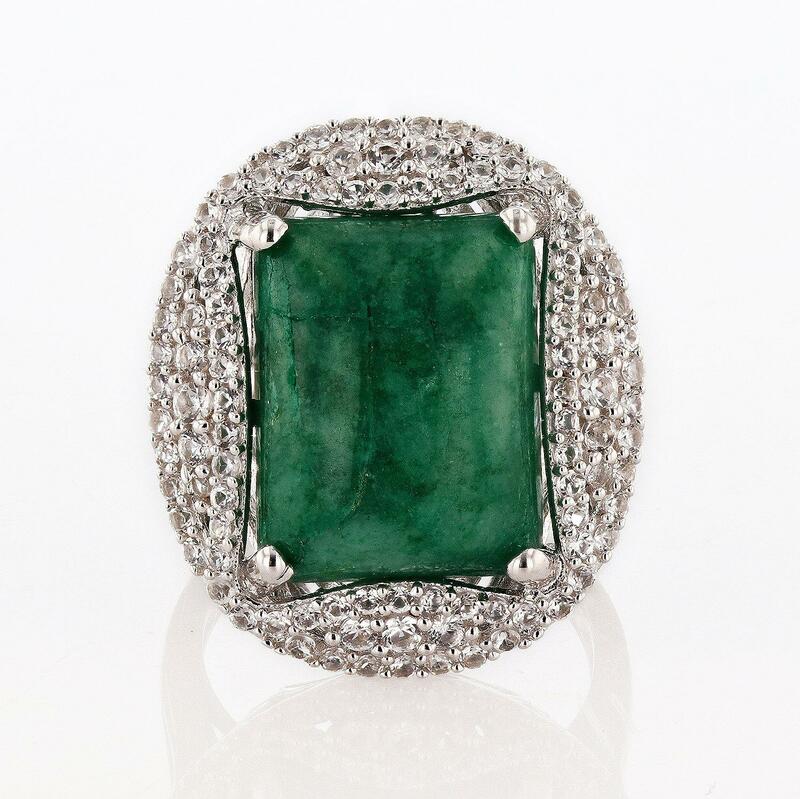 One electronically tested 925 silver ladies cast beryl emerald and sapphire ring. Trademark is Orianne. Identified with markings of "925". Condition is new, good workmanship. One prong set rectangular cabochon cut natural emerald, measuring 15.00 x 11.00 x 7.15mm, approximate weight of 11.00ct., clarity is heavily included, type III, medium, very slightly grayish, green color, (GIA G 5/3), cut is good. Ninety-eight prong set round mixed cut natural white sapphires, measuring 1.80 - 1.20 x 0.98 mm, approximate total weight of 1.20ctw., clarity is eye clean, light, very slightly grayish, white color, (GIA W 3/3), cut is good. Total Weight of Colored Stones 12.20ct.